Chess products are loved by many people in almost all countries in the world. This is because chess is a universal game that can be played by anyone and has no age limit. Hence, chess lovers always hunting various forms of chess pieces product. In fact, there are many variety chess products, whether it is color, design and materials used. 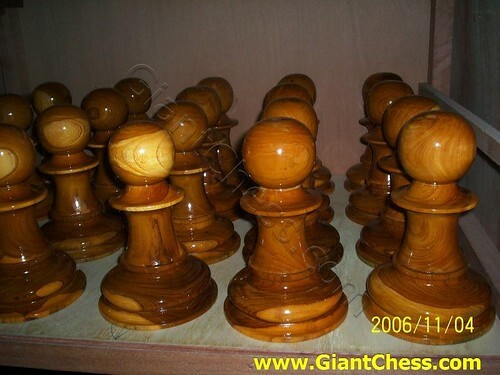 But of all these types of chess products, the most widely sought and always have a good quality chess is the carving chess which made from best quality teak wood. Just like those Pawn chess pieces above. Those are the wooden chess pieces which made from solid Teak wood and carved by talented craftsman from Java island. So unique and futuristic for your chess collection. Having an interesting game with your friend by using those unique wooden chess pieces. The real and original wooden chess.